Andrew was diagnosed with Neuro Endocrine cancer in 2017. "I am still trying to come to terms with my new normal but try to find a silver lining each day. 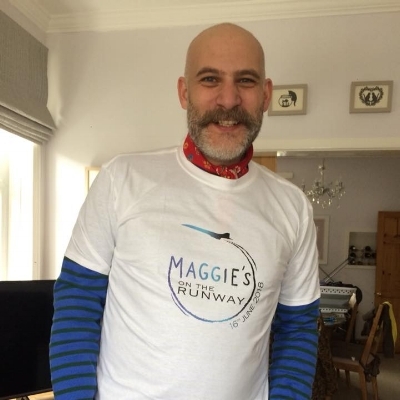 Maggie's is very close to my heart and has provided me with a true lifeline." Chris who has been living with prostate cancer since 2012 is passionate about raising awareness. "I feel so privileged to have been selected to take part in this event and to have been given the opportunity to meet so many inspirational people. I attended as a guest in 2016' and was blown away by both the professionalism of the whole production and the sheer joy of those taking part - truly wonderful…"
Don is a regular visitor to Maggie's Manchester. Don was diagnosed with bowel cancer last year. Jeff lost his wife Tara in 2017 following an eight year battle with breast cancer. "Maggie's gave me the best help. I got to meet other people in the same situation. For the first time in ages I felt understood." Jon has Pseudomyxoma Peritonei (PMP) which is a rare cancer, originating in the appendix. 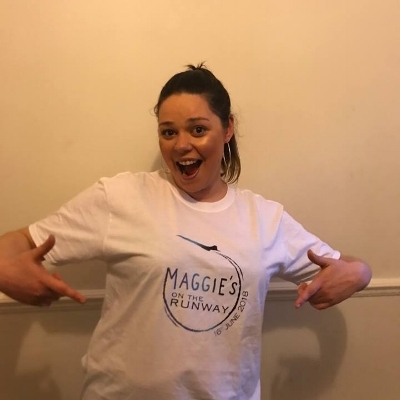 "I would like to support Maggie's to continue the fantastic work it does and allow other patients to have the opportunity to use the facility and find great support, as I have, from the staff but also from other patients too." Katie is living with synovial cancer . "31 year old bartender with metastasized synovial sarcoma. Had radiotherapy, chemotherapy and two surgeries so far, not to mention a bucketload of counselling. Currently pretending everything's fine for as long as possible. 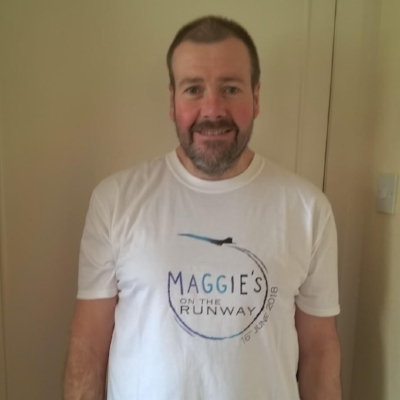 Maggie's continues to guide me through the biggest challenge I have ever faced." Louise was diagnosed with breast cancer a year ago. "I received my diagnosis just after I had came out of an interview for my dream job.....I hadn't even mentioned any health issues. I was one of the fittest, healthiest 48yr olds I knew. I had no symptoms. Life as I knew it would stop and become dominated by hospital appointments. I am not one for drawing attention to myself so being a model will be a surprise to everyone. Maggie's is such a great place to be, it lifts my spirits. I'm not out of the woods yet but I'm ready to step out from the shadow of cancer"
Lucy finished treatment for breast cancer in 2017. "I absolutely love Maggie’s, the Manchester centre has been there for myself and my loved ones at a difficult time especially since two months after my own diagnosis, my lovely mum Angela was diagnosed with breast cancer too. Mum is also doing well and I know that she is going to be there in the audience cheering me on." Meg was diagnosed with Hogkins Lymphoma during her final year at university. She responded well to treatment and is now ready to take on new challenges. "I managed to complete my university degree just before starting treatment. Since losing my hair I have lost a lot of the confidence I previously had and being a model is a step towards regaining my self esteem. I am now focussing on gaining back my strength, growing my hair and feeling like a normal 22yr old girl again"
Nigel is a carer for his wife Chris who has a brain tumour. Nigel and Chris are regular visitors to Maggie's. "On the many occasions we visited Maggie's we would leave feeling very guilty after scoffing all their cakes. The staff do a great job, give a warm welcome and provide a great service. My challenge is to be a model for a day. Rehearsals are now underway and I will try and avoid making a fool of myself in front of more than 50 ladies never mind the 600 strong audience on the day itself. Maggie's is there for people who need a little help and advice, a shoulder to lean on and yes, sometimes cry, at a very difficult time." Sudha's partner and soulmate Don Brown has bowel cancer. "In Maggie's I can let my emotions loose without fear or embarrassment. The centre remains my crutch during this difficult time"
Tania is living with a rare form of bile duct cancer. "My 13 year old daughter is my motivation, I want her to see her mum who has a huge scar look and feel fantastic. The scar is my story of strength and I also want to prove to myself that I am still worth it !"